As seen on this Telegram desktop source code, there are at least 7 additional modes to its regular one. I've done a little test to see what's the function of each modes. Not a fancy test, just enable the mode and see what's happens. The modes can be enabled by typing mode name in the settings page of Telegram desktop and confirm it. To disable the modes, type in the mode name again and confirm it. Telegram desktop may restart after each (de)activation. To enable, type debugmode and confirm it. 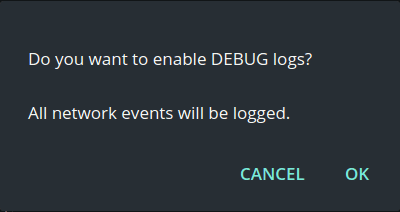 It enables debug mode by adding more log to log.txt in Telegram desktop configuration folder. 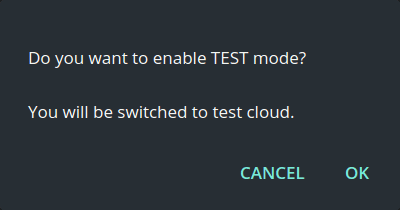 To enable, type testmode and confirm it. Switch to Telegram test server. This will restart your Telegram desktop instance and asked you to re-register. Test server is where the Telegram team test the feature before deployed to public server. You can’t contact user on public server from test server, vice versa. To enable, type loadlang and confirm it. A mode to test translations file. If you want to translate Telegram dekstop to your language, see the example strings file at https://github.com/telegramdesktop/tdesktop/tree/a25f55ba68e98044eff76f3c2b5fcbd4417f0b6f/Telegram/Resources/langs, and then try to load the translation file using this loadlang mode. To enable, type moderate and confirm it. I’ve failed to see what is this moderate mode for. To enable, type debugfiles and confirm it. To enable, type workmode and confirm it. 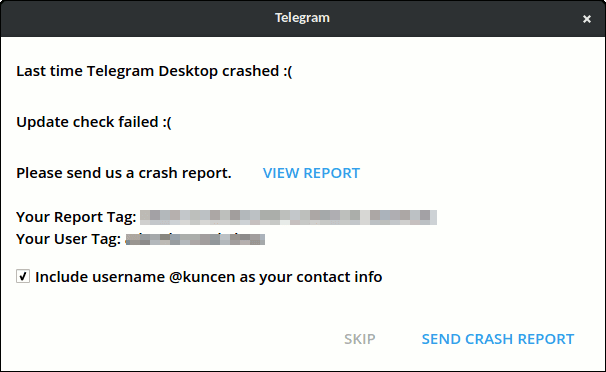 Well, it will crash Telegram desktop session and ask to send a crash repost on restart.